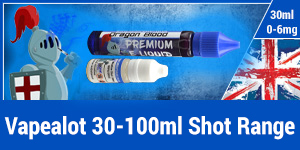 We all loved 30ml bottles and we can still have them with our 3 Step Short Fill Nicotine Shot Range. Our 3 Step Nicotine Shot Range is easy and cheap, simply buy 0mg Eliquid and select which nicotine shot you would like, if you usually vape 6mg choose the 6mg nicotine shot, SIMPLES! 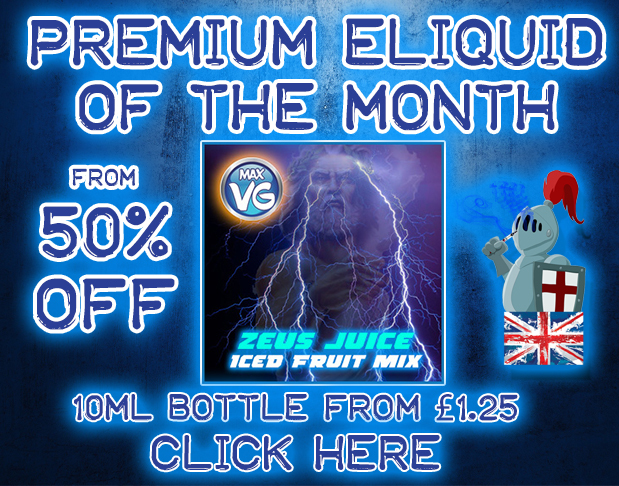 You will be sent 2 bottles, one with the premixed 0mg flavour and base premixed and one smaller nicotine shot bottle to make your eliquid the strength you want. 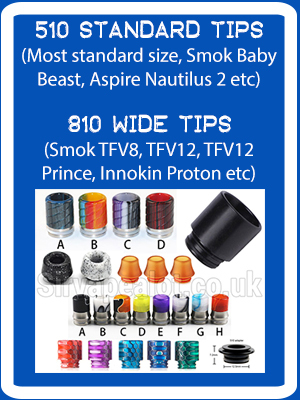 Its all measured out for you, no more worrying about how much nicotine to add to get 1.5mg, 3mg or 6mg and your nicotine shot is ABSOLUTELY FREE . Not only this but we add extra flavour to the base liquid so you dont end up diluting your flavour. Remove the lid from the 30ml bottle and pour ALL the 10ml bottles Contents into the 30ml Bottle. Apply Nozel to your 30ml Bottle and Shake! That’s it! 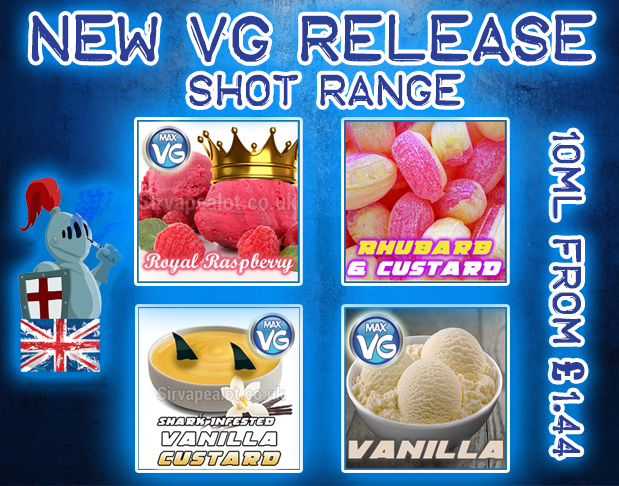 All our E-Liquids are made right here in the UK and mixed by Sir Vapealot LTD using UK sourced VG, PG and Nicotine. 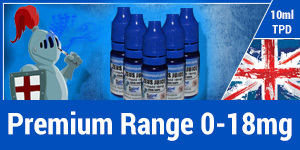 Our Range of Eliquids are 50 PG / 50 VG Unless stated otherwise, Our Vapealot Shot Range is available in 0mg 1.5mg 3mg and 6mg. 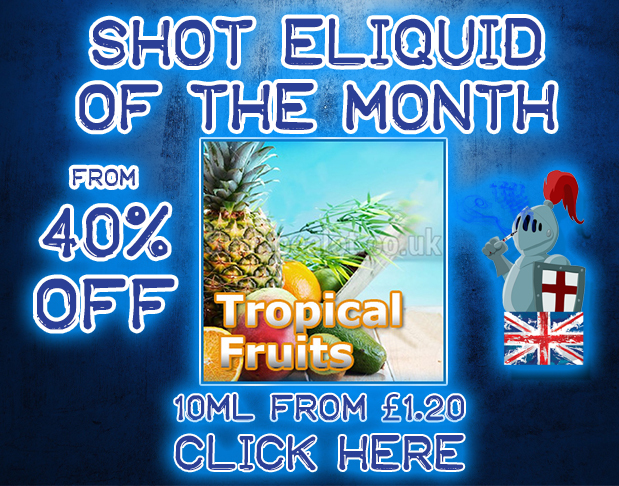 For 10ml fully mixed E Liquid try or premium range click here. Click a Link below to go back to our liquids. Notes... 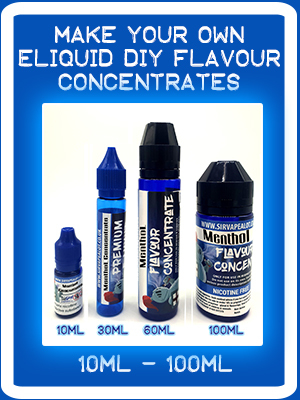 The 30ml Bottle and 10ml bottle will have the exact correct contents to give you 30ml of eliquid when mixed. 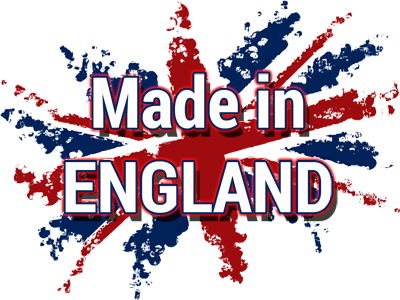 The 30ml Nicotine free bottle will have added flavour to allow for the same old flavour strengths we are all used to once the nicotine has been added.